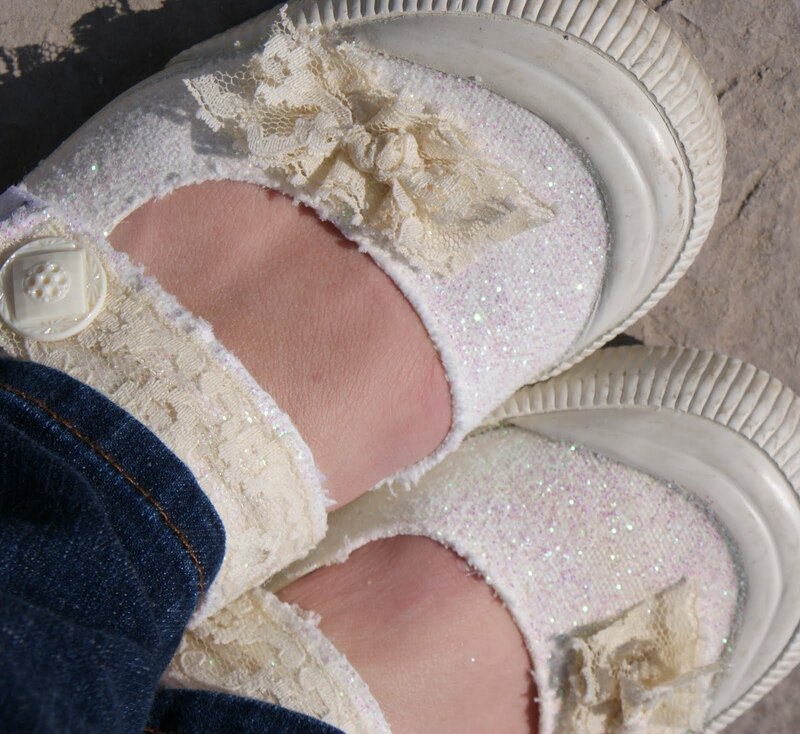 What girl or woman wouldn’t want a pair of Glitter and Lace shoes to wear out? I know I would love a pair, so that’s what I did. I made me some. 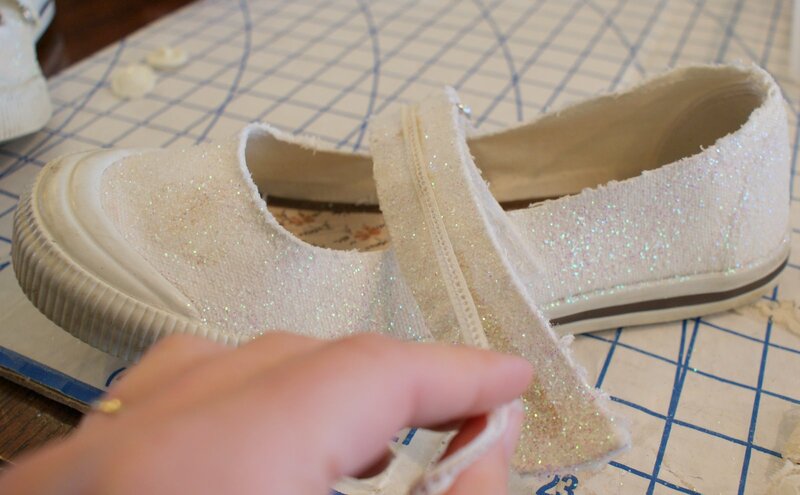 I taped off all the rubber and stuffed the inside with paper so I wouldn’t get any of the spray glitter on any part I didn’t want covered with glitter. 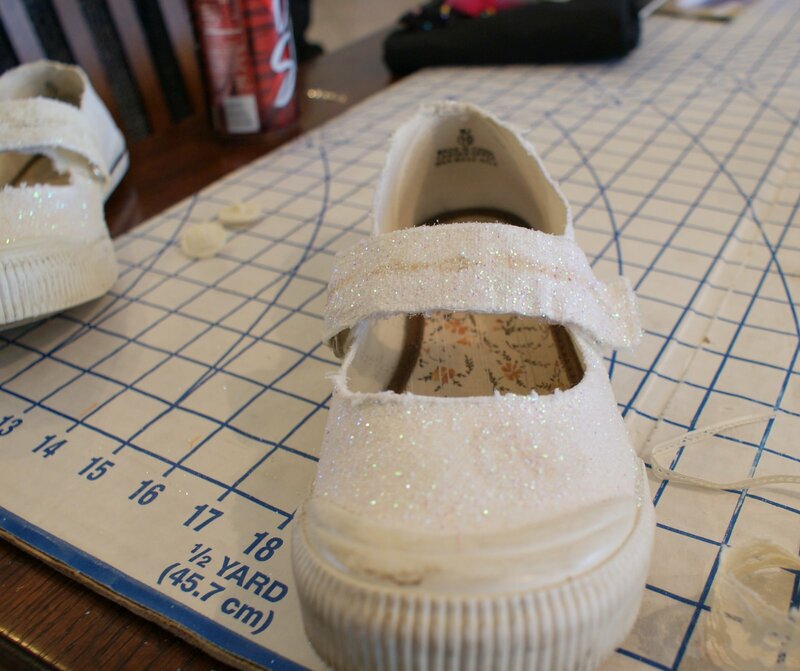 The spray glitter didn’t cover as much as I would have liked so I took some spray adhesive and applied it to the shoe then sprinkled some loose glitter that was the same color all over my shoes. 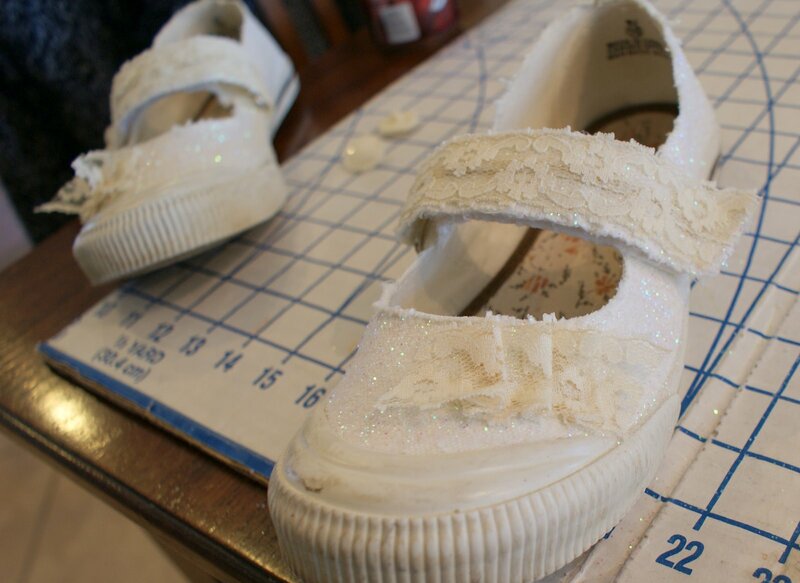 I let them dry for a day just to make sure the glitter was good. 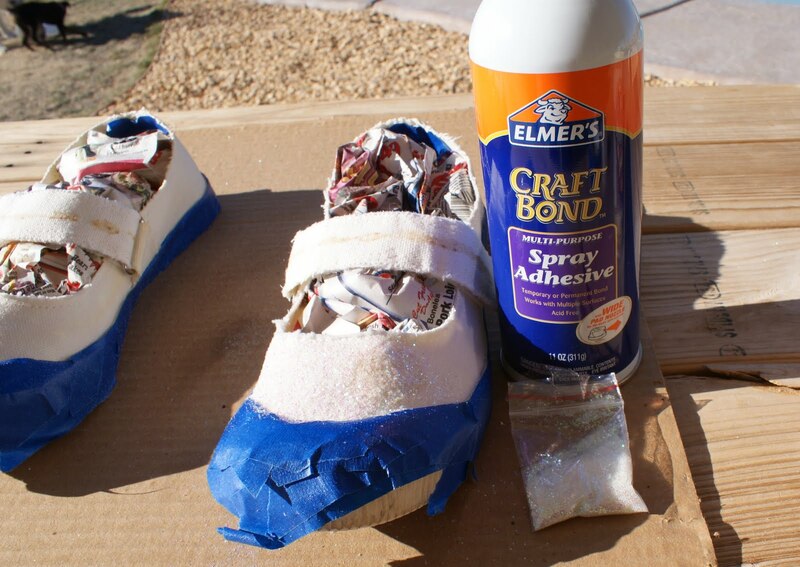 This is what they looked like after sprayed and dry. 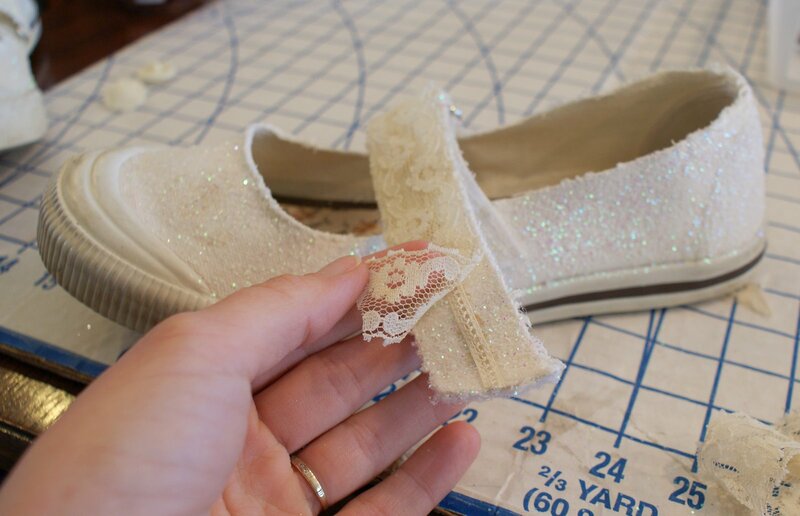 The shoes had some ribbon attached to the strap before and when removed it left a brownish mark from the glue. So I would just have to cover it up. 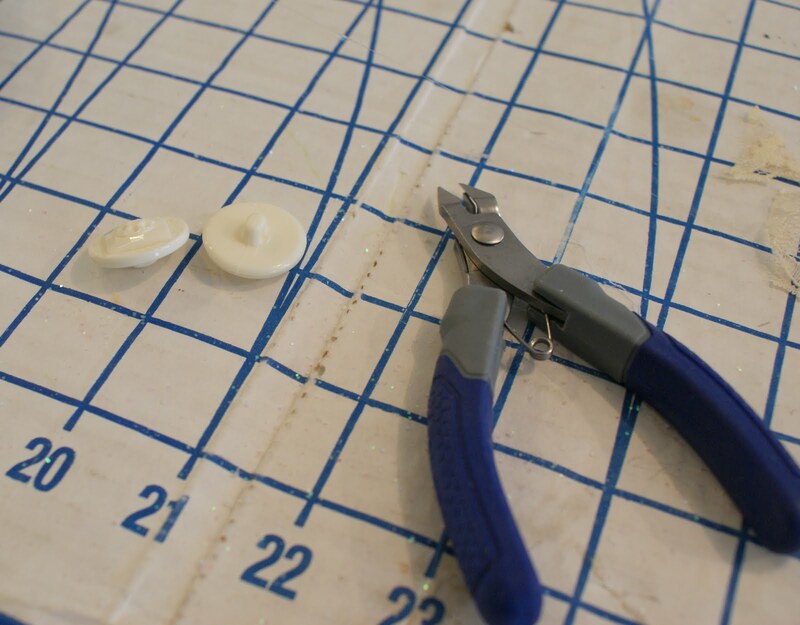 I used hot glue to apply all the extra lace and buttons. 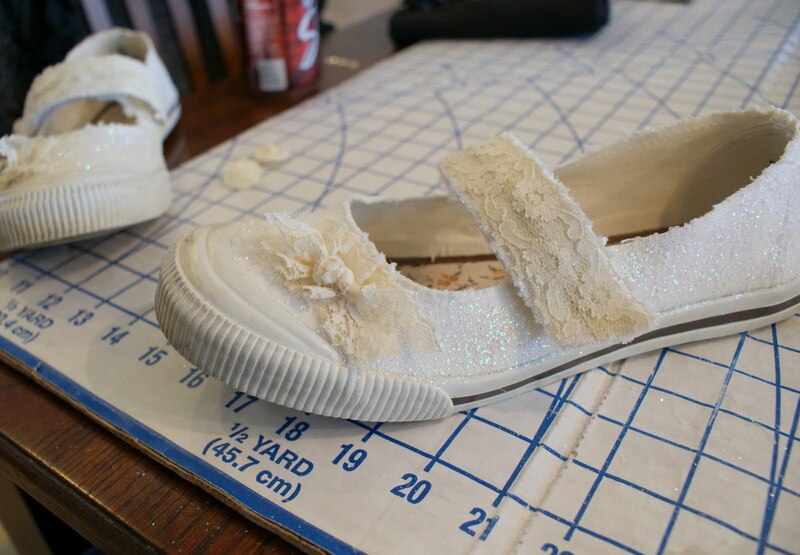 Also added a ruffle to the toe of the shoe. 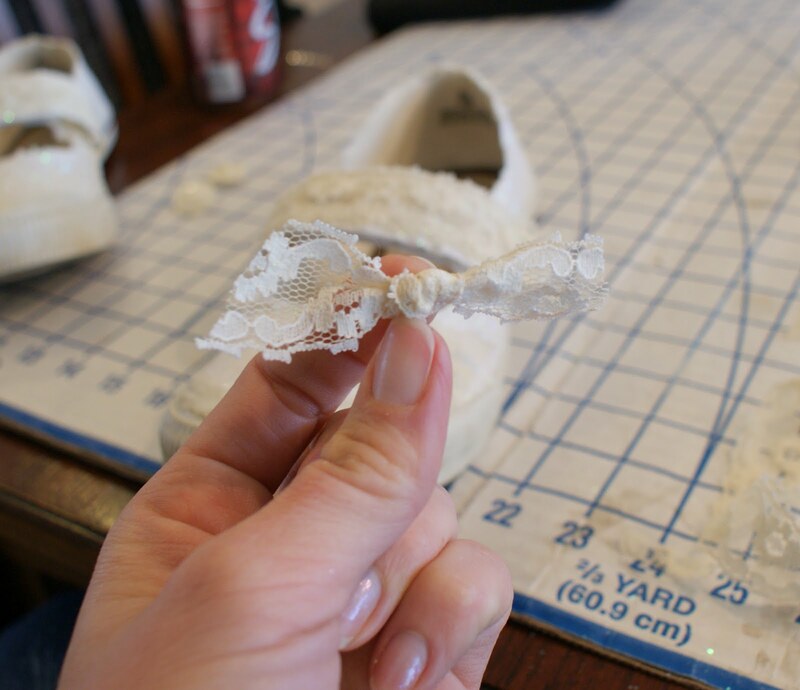 A small little knot onto the ruffle. And what about some buttons. I cut the back of the button off with a pair of wire cutters. 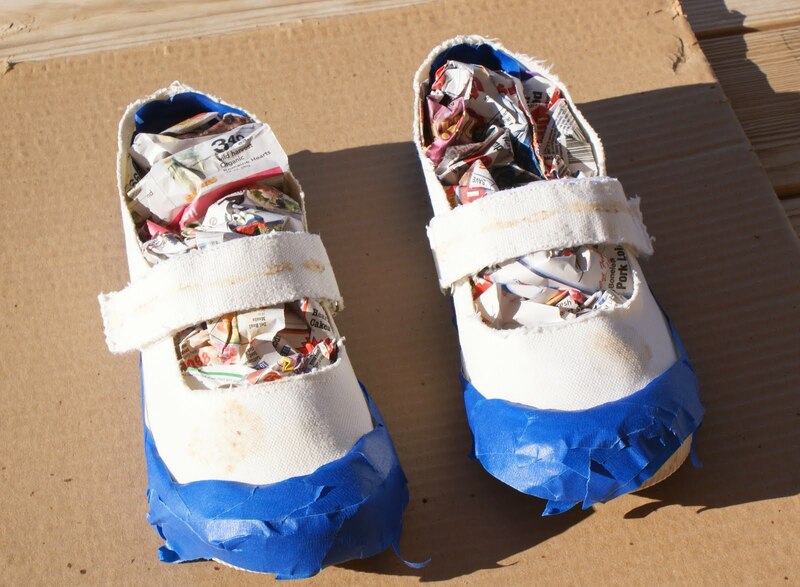 And hot glued the buttons onto the strap of the shoe. Done. 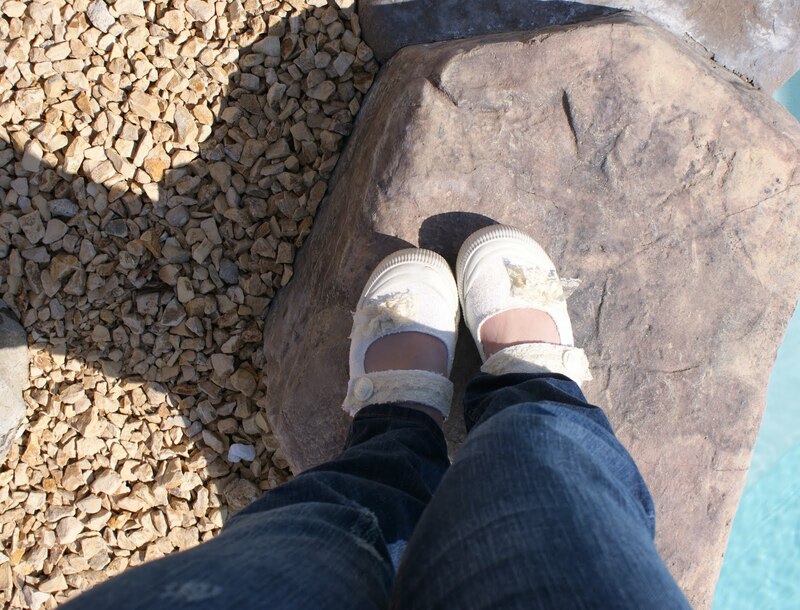 Another new pair of shoes for my closet. 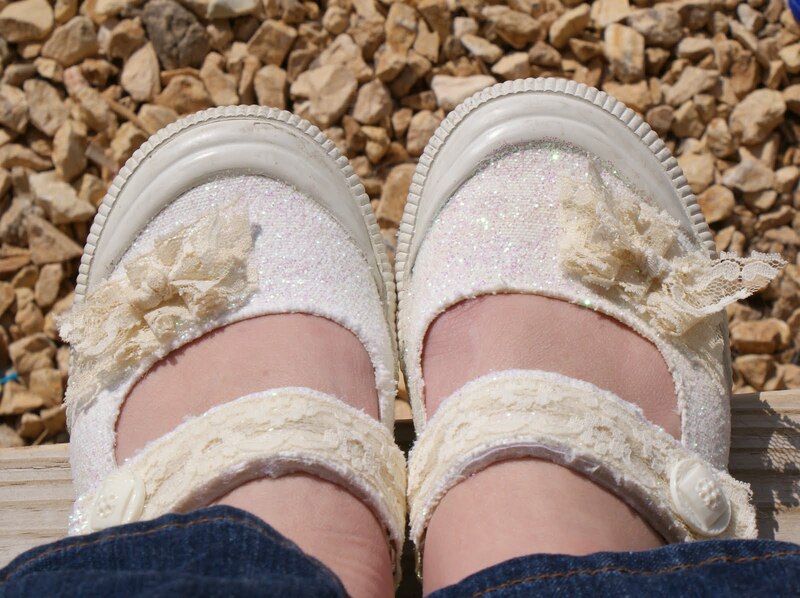 I like the old timey lace paired with the shiny glitter. I Stumbled this post for you.